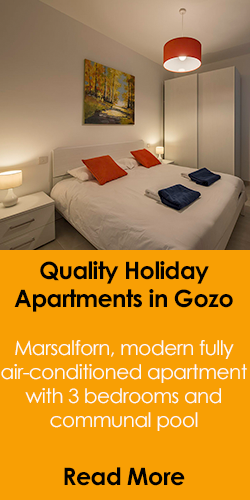 One bedroom self catering apartments that may accomodate up to 4 persons situated in the heart of St Julians including use of swimming pool. Restaurants, wine bars, pubs, clubs, discotheques, casinos, cinemas and a sandy beach are all within a short walking distance. 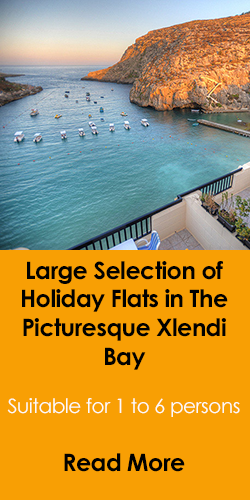 Central and well priced holiday apartments in the centre of Paceville, St Julians, for up to 3 persons with use of a large swimming pool at an adjacent holiday resort complex. Central and well priced holiday apartments in the centre of Paceville, St Julians, accommodating from 1 to 3 persons. Use of pool at an adjacent resort/complex. Paceville apartments. Multiple 2 bedroom units equipped with a living/dining area with fully equipped kitchenette, and a bathroom with bath tub. All apartments include a cooling fan and most have a balcony. Sleeps up to 5 persons. Two bedroom holiday apartments in the centre of Paceville, St Julians that may accomodate up to 5 persons. Restaurants, wine bars, pubs, night-clubs, discotheques, casinos, cinemas and a sandy beach are all within a short walking distance from the apartment block. 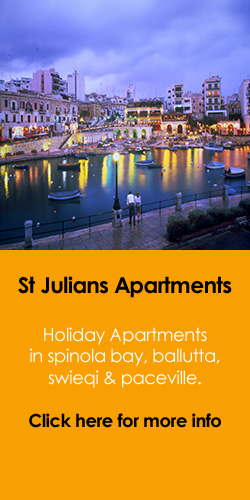 St Julians Paceville studio holiday apartments that may accomodate 1 to 4 up to 3 persons. 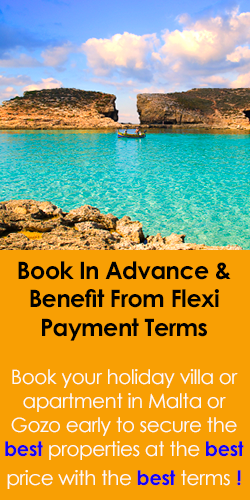 Restaurants, wine bars, pubs, night-clubs, discotheques, casinos, cinemas and a sandy beach within walking distance from the apartment block. 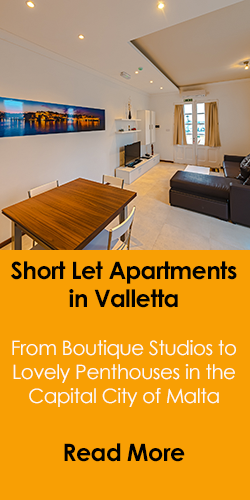 Paceville, studio apartments, enjoying a spacious sitting/dining bedroom, kitchenette. Facilities include a private bathroom, satellite TV, ceiling fan, heater, portable air conditioning unit, a balcony or terrace. Free WiFi. Standard Studio apartments in Paceville, suitable for one to three persons. 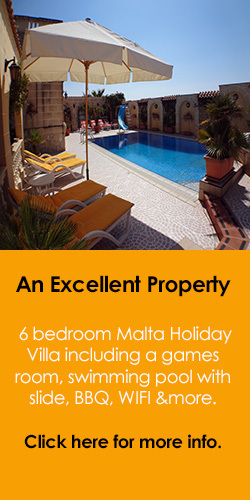 Close to the nightlife in Malta's entertainment district of Paceville. Use of swimming pool at an nearby holiday complex. Wifi connected.